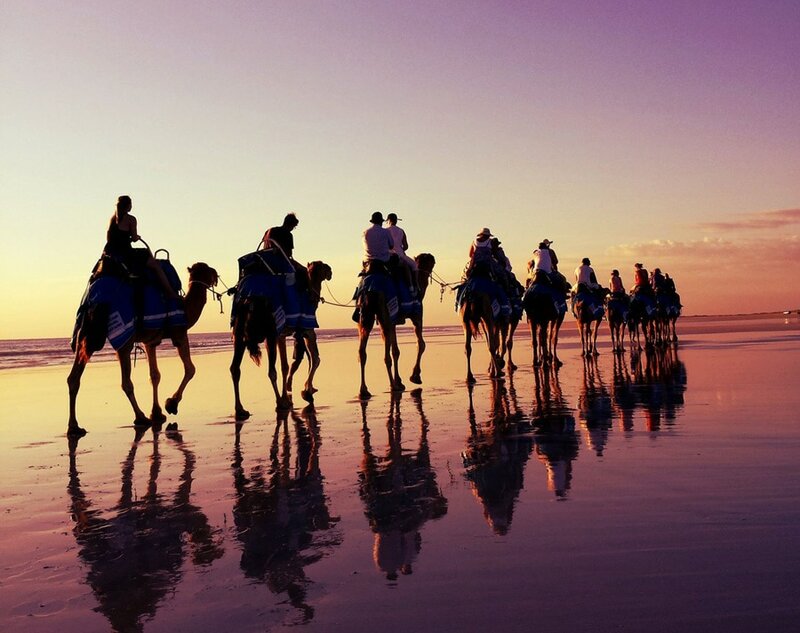 Enjoy an unforgettable experience with Broome’s most loved camels. Join Alison Bird – Broome’s most respected and experienced camel operator with more than 30 years experience working with these often misunderstood animals. Alison has caught camels, trained camels, brought up orphaned calves and been involved in camel export. Enjoy a morning, pre-sunset or sunset tour along the iconic Cable Beach. Alison and her team will ensure your experience is safe, educational and, most of all, enjoyable! Book your camel ride with the team at the Mangrove Hotel.